Christy’s story began in the Pitjanjatjara community of Ernabella so she is comfortable in creek beds, where she went on to organise camps as a young person and then after studying communications at the University of SA developed as a project manager of the Schoolies Festival SA and non-profit organisation Encounter Youth. Having three children sparked her interest in homemaking and sustainable neighbourhoods which led her to study permaculture at the Food Forest, dig in her local community garden and network with the Australian City Farms and Community Gardens Network. In short she loves conversations and action that come out of creek beds, camps, parties, homes and neighbourhoods. She is currently an Urban Sustainability Coordinator with Natural Resources Adelaide & Mt Lofty Ranges. 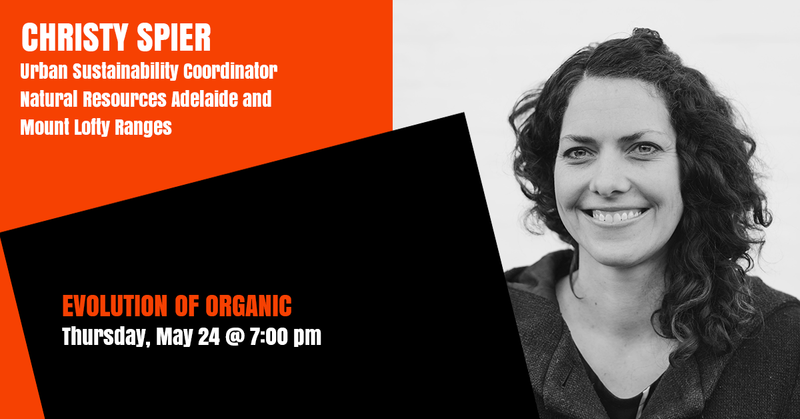 In this current role she is an enabler with the Adelaide Sustainability Centre, the newly established SA Urban Food Network, the Living Smart program and other upcoming initiatives.